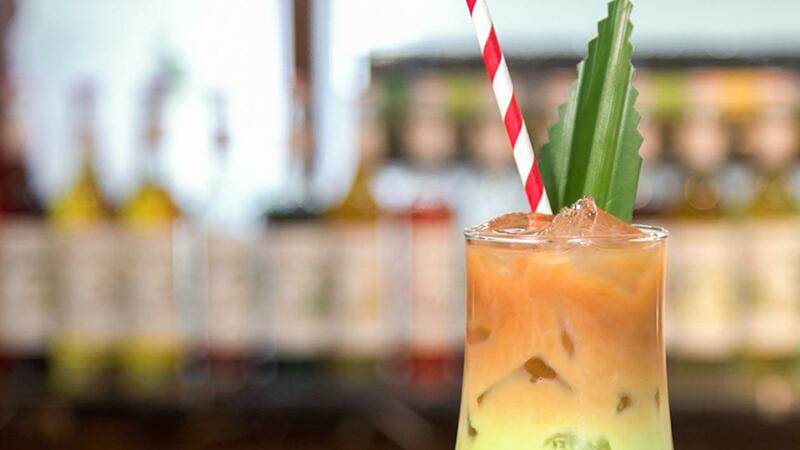 Pandan is a classically Malaysian ingredient that makes this drink extra fresh and fragrant! In a jar, add Monin pandan syrup, milk and 1 scoop of ice. Stir well. Set this pandan milk mixture aside. In a separate serving glass, add 2 scoops of grass jelly at the base and fill glass with ice. Layer in the pandan milk mixture, then 100ml of pre-brewed tea. Garnish with pandan leaf before serving.